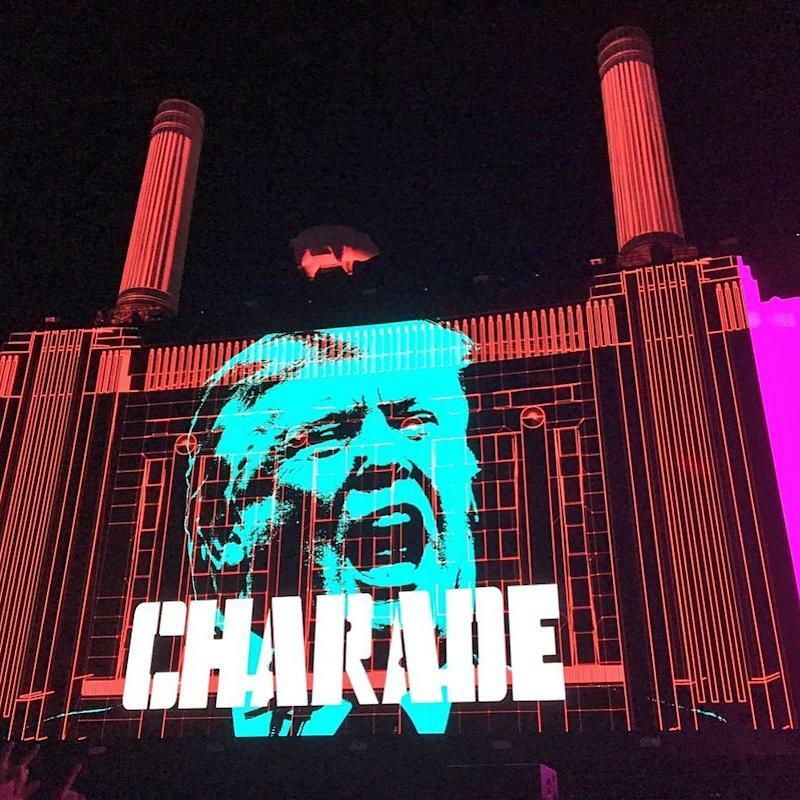 In 2008, Roger Waters played the Coachella music festival in Indio, Calif., and he floated an inflatable pig emblazoned with the name “OBAMA” above the 50,000-strong crowd. 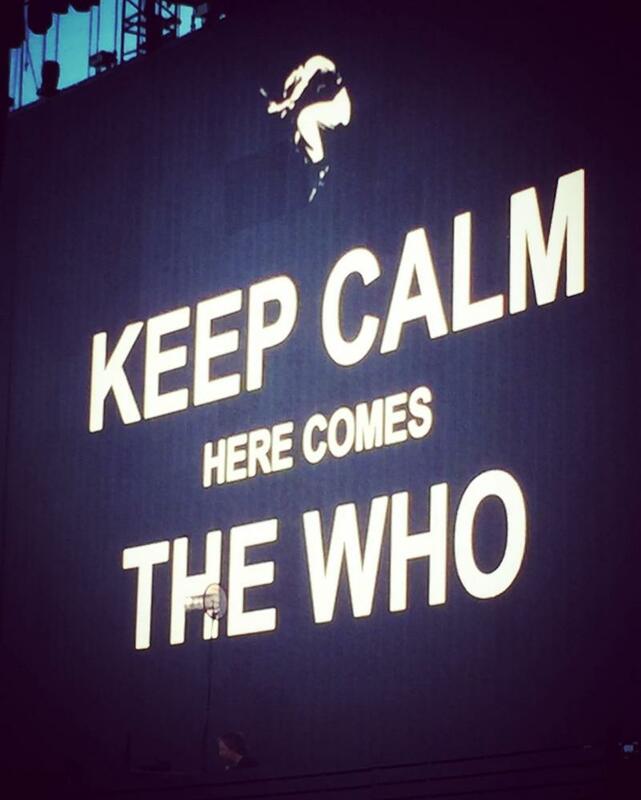 This Sunday, the same night as the second presidential debate, he returned to Coachella’s Empire Polo Grounds to close out the all-star classic rock Desert Trip festival. And the Pink Floyd legend brought another statement-making political pig with him — one that made it clear which candidate he is rooting against this election year. 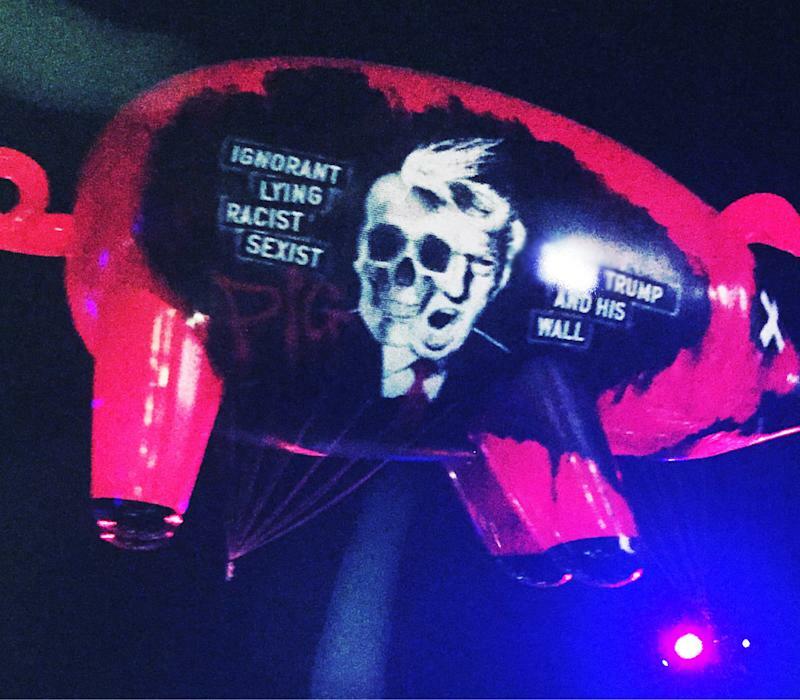 One side of the swine-shaped balloon, which Waters unleashed into the desert sky during “Pigs (Three Different Ones),” featured the familiar, optimistic slogan “together we stand, divided we fall.” But the other side was much more damning, with the angry words “ignorant, lying, racist, sexist, pig” and “f— Donald Trump and his wall” stenciled alongside a scary illustration of a skull-headed, gargoyle-like Trump. Finally, for “Another Brick in the Wall, Pt. 2,” Waters got in a dig at Trump’s master plan to build a wall around Mexico, bringing out a choir of children wearing slogan T-shirts that said “tear down the wall” in Spanish. However, the Who’s snarling proto-punk spirit came through on youthquake anthems like “My Generation,” “The Kids Are Alright,” and “Baba O’Riley” — despite the fact that Townshend and frontman Roger Daltrey are in their seventies and, unlike their fallen bandmates John Entwistle (who would have turned 72 on Sunday) and Keith Moon, they did not die before they got old. Later, when reminiscing about the string of hits the Who had in the ‘60s (“such a f—ing long time ago”), Townshend chuckled, “We were sort of 1967’s version of Adele, or Lady Gaga, or Justin Bieber, or Rihanna. We were hip and we were hot and we were in the charts, and we were fab, fab, fab!” But it wasn’t hard to believe the man, since he and Daltrey still sounded pretty fab in 2016. Desert Trip will return to Indio for an encore weekend on Oct. 14, with the same lineup: the Rolling Stones and Bob Dylan (Friday), Paul McCartney and Neil Young (Saturday), and Roger Waters and the Who (Sunday).